For the cleanest tear-free holes you have ever seen, even at lower velocities! 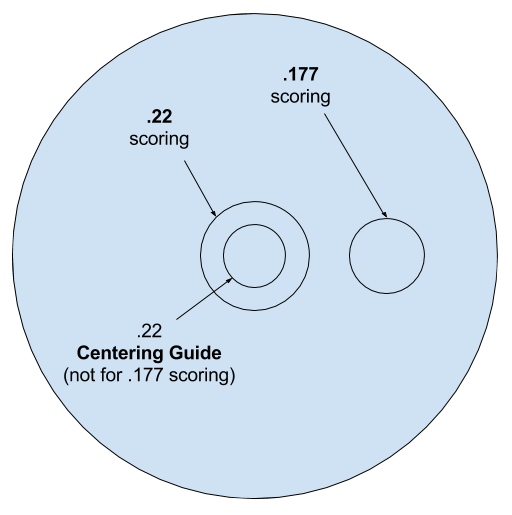 These very popular scoring gauges allow for scoring of the target without plugging the shot hole. 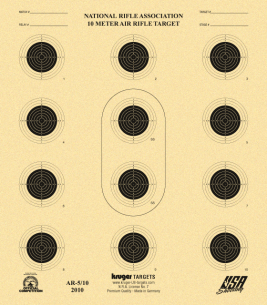 They are especially suited for scoring postal targets, multiple holes together, or close shots. 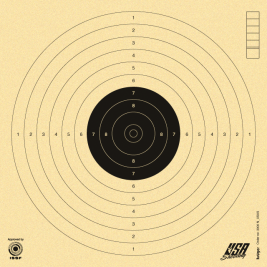 These gauges are made to ISSF standards. The Pell-Sort allows you to screen/sort your .177 wadcutters so you can find that best pellets in your tin for accuracy! With a small ambidextrous beech wood grip and fully adjustable trigger, this pistol is perfect for both small and larger hands. Weighing in @ 730g (1.6lb) This is the lightest and most precision pistol we have seen. Fully adjustable grip with 10 deg pivot and +/- 3 deg rotation. A great starter pistol for the young aspiring shooter that can last a lifetime. The first match air pistol designed exclusively for Gehmann. Easy operation load lever/pellet feed suits left- or right-hand shooter. Complete new regulator makes the velocity extremely consistent and easily maintained. Newly developed inlet valve sits directly behind the loading port giving the shortest possible path for the air to need to travel thus giving an incredibly short action time. Improved air consumption - more shots per fill. Detachable cylinder with end gauge. Trigger: Mechanical, adjustable in all senses with New Dry-fire mechanism. Muzzle compensator helps eliminate flip and recoil. Rearsight: adjustable for elevation, width and blade cut-out. Foresight: blades interchangeable. 4.5mm standard or 3.5, 4.0, 5.0 & 5.5mm (extra). Case: includes charging adaptor tools, instructions and test group. 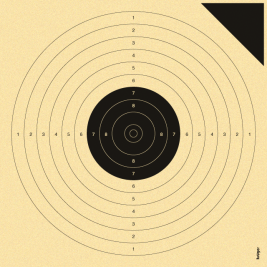 Ideal for bulls eye shooting and also meets IHMSA rules for Production Class Silhouette competitions. - 10.1 inch Lothar-Walther choked match barrel with 12 lands and grooves. - Adjustable hammer spring lets velocity be adjusted. - Grooved receiver for mounting a scope. - Stainless Steel Bolt features a longer handle for ease of operation and an extended bolt probe for increased accuracy. - Williams notch sight with target knobs for easy adjustment, as well as internal micrometer adjustments with positive internal locks. Turn your pistol into a rifle with this stock adaptor. The .177 caliber V10 Competition Target Pistol is the ideal choice for your entry into 10-meter precision air pistol shooting. The single pump V10 is loaded with features typically found in competition match pistols costing much more. The handsome pneumatic target pistol resembles a semiautomatic rather than the single-shot it is, but it doesn't hurt the wallet like most other top-level match air pistols designed for 10-meter precision shooting. Constructed with a competition-grade rifled steel barrel, the pistol features an attractive, adjustable walnut grip custom fit for right-handed shooters. There is a large palm shelf on the right side that adjusts comfortably to your hand, a thumb rest on the left, and the robust grip has added stippling for superior control. The V10 includes adjustable sights. Generating 400 fps, the V10's single-stroke pneumatic power plant is free from recoil and vibration thus enhancing the pistol's accuracy. And since the V10 doesn't require CO2 cartridges or high-pressure tanks for filling, operation is convenient and simple. The lightweight V10 features a metal lower and polymer upper for well-balanced overall weight of less than 2 lbs., making it comfortable to shoot. The V10 features a two-stage adjustable trigger that can be adjusted down to .88 lbs. In addition to its ease and dependability, the low and consistent velocity of the V10 make it a valuable tool for target practice and training. It's quiet too! Choose the Air Venturi V10 precision air pistol and begin practicing to compete in local and regional level matches today! Recommended for Pony Club Tetrathlon events! Step it up to this competition grade pistol with 1-4 lb adjustable trigger, capable of 40+ consistent shots per co2 cartridge. Outstanding accuracy and velocity with a single pump. German engineered and designed single stroke pneumatic over-cocking design produces up to 410 fps velocity that's totally recoilless and no CO2 is required. Target-style trigger provides crisp let-off and minimum take up. Custom shaped, finger groove grip helps improve shooting comfort and aids with accuracy. Polymer frame is durable and lightweight, cast aluminum slide and rifled steel barrel provide long life and repeatable accuracy. Includes manual safety and rear sights are adjustable for windage and elevation.